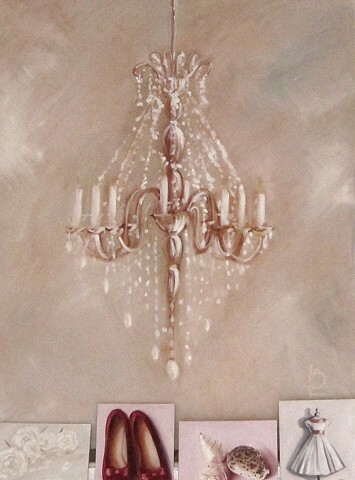 A huge painting of a chandelier. A small description of a mahoosive painting. I originally painted this to cover up the wall in the studio- because it's really really high up at the top there, and I don't like standing on high ladders. But, lots of people have asked me about it, so I thought I'd pop it up here. If you like it, I recommend coming to pick it up. Alternatively, you can commission a smaller version. I would like to say you could could commission a bigger one- but my studio is too little.